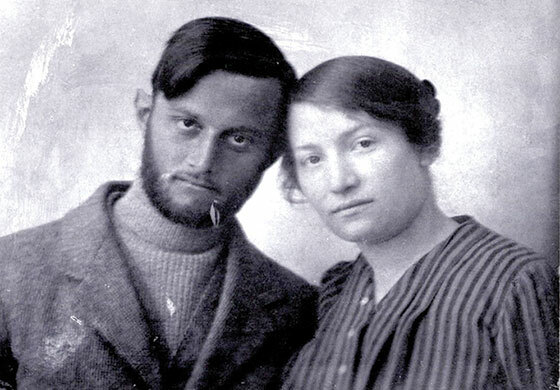 Avshalom Feinberg and Sarah Aaronsohn, 1916. 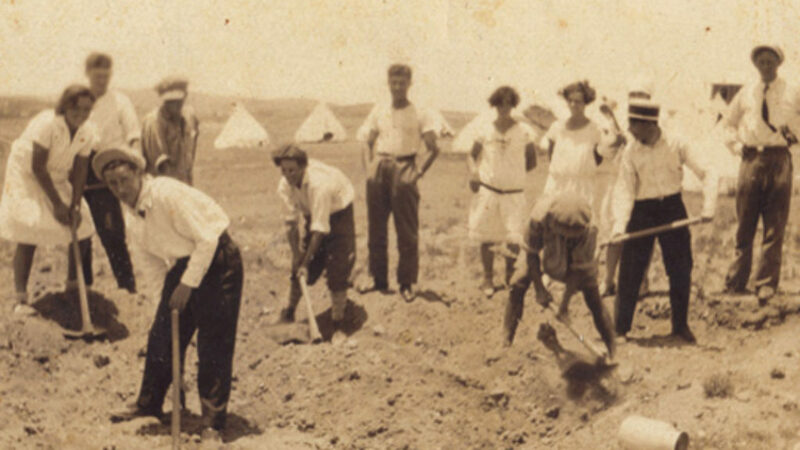 After a brief prologue set in early 1917, when the shadow of the Great War fell fully on Zikhron Yaakov, Srodes backtracks to tell the story of the founding of the town by members of the First Aliyah, including Sarah’s father, Ephraim, and the genesis of the nearby Atlit agricultural station in the pioneering work of her world-famous agronomist brother, Aaron. In addition to Sarah and Aaron, their brother Alexander was also central to Nili. The little network of spies used their access to local Ottoman troop positions and intimate knowledge of the region to help the British war effort. In doing so, they were correctly betting on the British, but not everyone in Zikhron Yaakov or the Old Yishuv, more generally, agreed. Srodes usefully situates their actions within the context of competing national identities in the region and the global race for petroleum that focused the entire world on the Middle East. Because Srodes starts his tale near the end of the Nili affair, readers know its terrible outcome in advance. 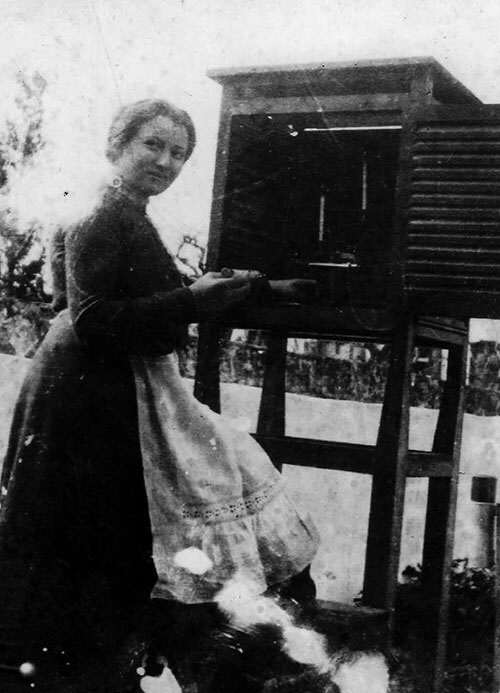 On the eve of Sukkot, 1917, the residents of Zikhron Yaakov suffered along with 27-year-old Sarah Aaronsohn, unable to escape her screams as she was tortured by Turkish operatives. On Srodes’s telling, it was vital that she hold out because, unlike the other spies, not to speak of those friends and family members who were not part of the clandestine circle, “she alone . . . held a great secret”: British forces under General Edmund Allenby were poised to strike from Egypt with the goal of capturing Jerusalem. Srodes, a prolific biographer whose prose tends to the florid, can hardly be blamed for his description of Sarah as a “hardened warrior,” in these circumstances. In this matter, Wallance affirms him: “The Turks were students of torture who applauded the discovery of a new method as though it was a scientific breakthrough; some had studied the records of the Spanish Inquisition to refine their skills.” The practice of beating the soles of a victim’s feet with rods or tubes, known as faluka, was one of the mildest forms of torment that was inflicted upon her. But she kept her secrets, even as she drifted in and out of consciousness, and even when her innocent relatives were tortured in front of her. Spies in Palestine is an excellent resource, but it is hampered by Srodes’s unwillingness to trim details and dramatis personae. While it is important to know how Aaron’s American and British contacts opened doors to American benefactors and British military intelligence that would have remained closed even to a “self-taught prodigy in botany, geology, and hydrology” credited with the rediscovery of the “mother of all wheat,” Srodes’s exhaustive list of his important contacts burdens an already far-ranging narrative. Nor is he willing to truncate or elide any of Nili’s breakthroughs and accomplishments or its challenges and setbacks. Although she did not, like many spies, “thirst for danger as a means of self-fulfillment,” Sarah seems to have been born for the world of clandestine operations. 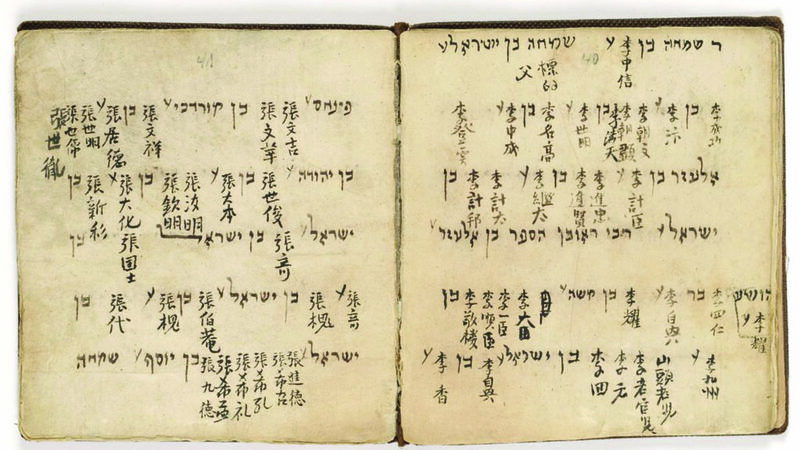 When she sent warnings from Constantinople to her family in the Yishuv of the massacre of the Armenians, a fate she feared would befall the Jews, she wrote in tiny handwriting covered with large postage stamps. To get the recipients to look under those stamps, “she wrote a letter to Rivka urging her to admire ‘the boule’; using the French word for tree-lined boulevard, but really a pun on the Hebrew word bul, or stamp.” It was Aaron who established contact with the British and convinced them that he was neither a double agent nor a crank, but it was Sarah who did the hands-on work of recruiting sources and reactivating those who had fallen silent. She even took risky trips to Damascus to eavesdrop on the German officers aiding the Ottoman war effort. More than twenty times I felt like throwing up to their face what I thought of their complete and irremediable inability to understand the situation. A hundred times daily I curse the moment when we decided to work with them . . . better [to] commit suicide than to continue under such conditions with people whom we thought were our friends. Suicide is one thing to threaten and another to do. Facing transport to Damascus where further torture and certain death awaited her, Sarah managed to convince her Turkish guards to give her a few minutes alone in Aaron’s house to change before the journey. In that time, she wrote out her final instructions to the Nili network, located a hidden gun, and shot herself. 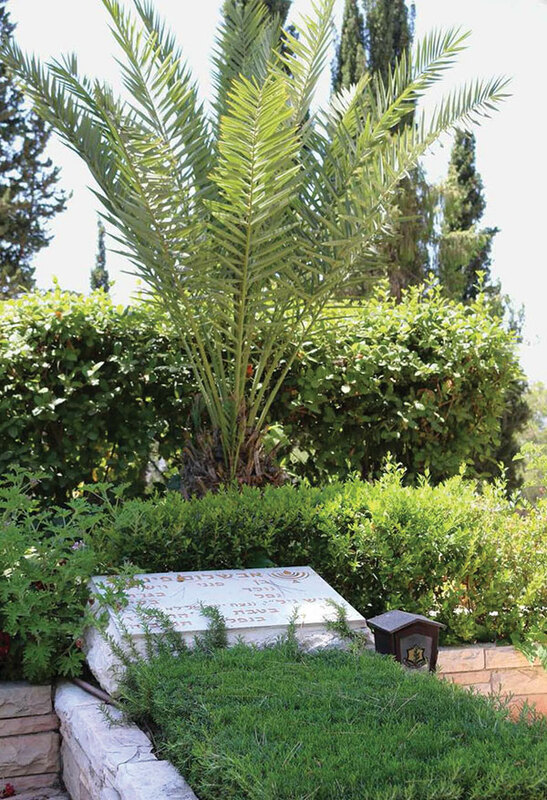 In the early 1900s, Zikhron Yaakov was still very much a small town where rivalries and grudges grew abundantly. The Aaronsohns—people said—thought they were better than their neighbors. Aaron, in particular, drew resentment for the imperious way he directed the Atlit station and, perhaps, simply for his spectacular successes. This commonly held opinion was not helped when he convinced his younger brother Alexander to go to the United States, where Alex filed papers to become a citizen and went to work at the Department of Agriculture. Alex’s articles in The Atlantic Monthly extolling the virtues of Palestine were not relished in Zikhron Yaakov. 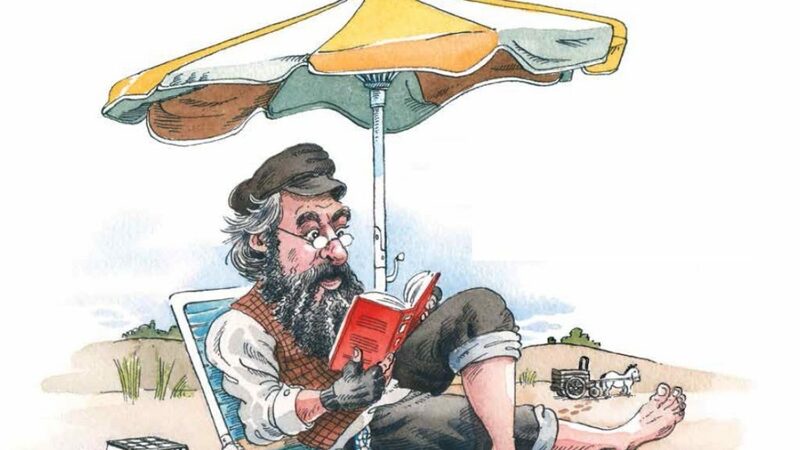 As Srodes puts it, “Sentiment held that one Aaronsohn celebrity swanking about abroad was enough, two was too much.” Had they been more steeped in the traditions of their Romanian Jewish ancestors, the two might have given a thought to the ayin hara. As it was, they were visitors at the mansions of Secretary of State Robert Lansing, his nephews John Foster Dulles and Allen Dulles, and Assistant Navy Secretary Franklin D. Roosevelt and hobnobbed with luminaries such as Supreme Court Justice Oliver Wendell Holmes Jr., Herbert Croly (the editor of the then-influential The New Republic), and multimillionaire Herbert Hoover. Nor was that the only source of conflict. First Aliyah families like the Aaronsohns were scorned by Second Aliyah newcomers who wanted to work the land in place of Arab laborers and institute communal property ownership and decision-making. Second Aliyah self-defense groups like Ha-Shomer simply refused to protect First Aliyah towns such as Zikhron Yaakov and Hadera. In 1913, Alexander Aaronsohn and Avshalom Feinberg, the fiancé of Rivka Aaronsohn, formed a rival group called the Gideonites. Young men with horses and guns “joined as a brotherhood, with a sworn oath of secrecy and a pledge to match violence done to them with greater retaliation.” Their frequent and violent skirmishes with Arabs in nearby villages over destroyed crops and stolen livestock gave them confidence. Many Nili spies—including the hotheads who would play a role in the network’s discovery by the Turks—came from the ranks of the Gideonites. Begun after Halkin moved to Zikhron Yaakov, the writing turned him into a kind of spy, cultivating sources, digging out secrets, and surreptitiously entering deserted buildings. Halkin’s tale is full of historical rhymes, echoes between past and modern events, which afford the reader literary pleasure and historical insight that ordinary biography cannot provide. The people of Zichron felt they would go mad if they had to hear the screams of the tortured prisoners any longer. But there were also four women who ran through the streets of the town, laughing and jeering at each scream. And though we may leave their eternal damnation to others, let it be known that each was requited in her way. If you wanted to know who did what—joined the spy ring, was for it, against it, took no stand—you had to put the big things aside. The course of the war—the hopes of the Jews—the plans of the British—the right to risk lives that hadn’t asked to be risked: These were not the keys that fit the doors on [Zikhron Yaakov’s] Founders Street. To open those, you had to know other things. Who was related to whom. Who was the neighbor of whom. Who was friendly or had quarreled with whom. Who was more brave, prudent, adventurous, selfish, caring, or timid than whom. The grave of one of the four women who was alleged to have jeered as Sarah Aaronsohn was tortured sits alone, away from her family members. Her “mitah meshunah,” her strange death, ended her life at age 50, five years after Aaronsohn’s death. Sarah’s grave is there too, not outside the cemetery proper, as is customary in the case of suicide, but next to her mother and surrounded by a fence that instead of setting her apart as shamed appears to give her a place of honor. 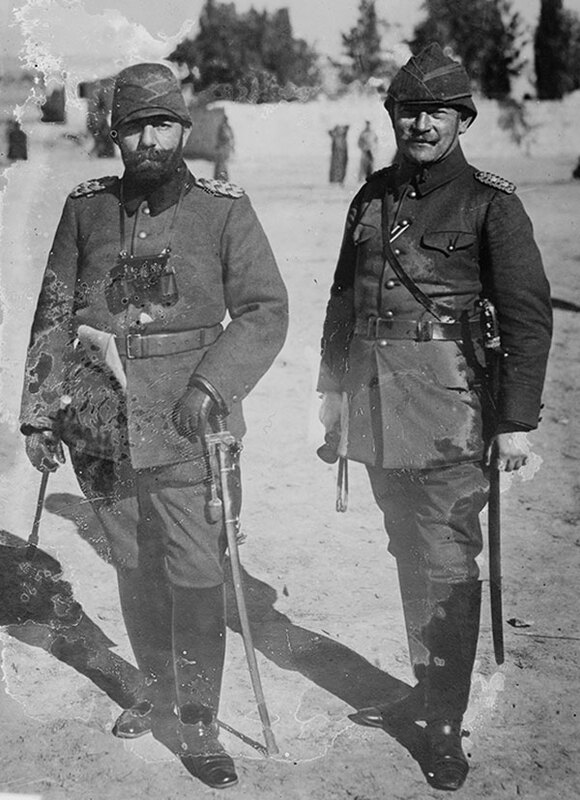 There had long been rumors that Yosef Lishansky and Avshalom Feinberg had not been attacked by Bedouins while attempting to cross into Egypt to reestablish communications with the British. Instead, the town gossip went, Yosef killed Avshalom in a rivalrous argument over Sarah. The falsity of this rumor “was proven after the 1967 war,” Halkin tells us, “when Feinberg’s remains were dug up by Israeli soldiers in Sinai with the help of an old Bedouin who corroborated Lishansky’s story.” Over the site grew a lone date tree.